Canada’s North is a mysterious and forbidding land. There are stories of European explorers disappearing without a trace and place names such as Deadman’s Island. Native legends from the original occupants – not to mention strangely colourful lights that often dance across the night sky – add to the intrigue. I saw the Northern Lights for the first time during the site visit. The scientific explanation does little to diminish their mystique. 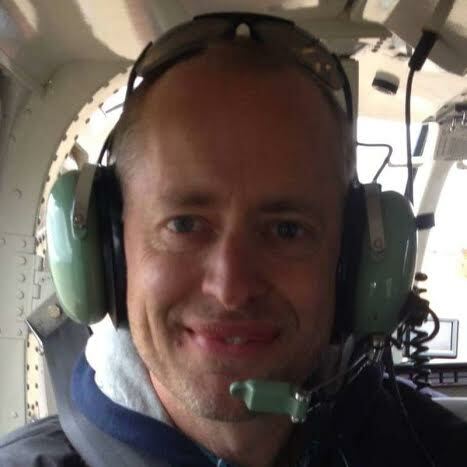 Flying over the barren lands of Northwest Territories and Nunavut gave me a renewed respect for Chuck Fipke and all the other Northern pioneers who identified mineral deposits there. 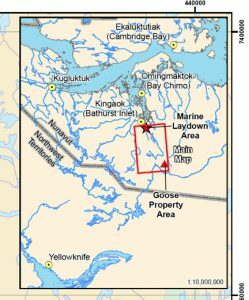 Between Yellowknife and Sabina Gold & Silver’s Goose camp, the plane travelled over hundreds of kilometres of waterlogged tundra with nary an interruption. Then, rather suddenly, an open-pit diamond mine – a mineralized pin prick in a pin cushion measuring millions of square kilometres. The diamond mine was Diavik; Ekati is nearby. This is about as far from “civilization” as it’s possible to get. For perspective, driving from Billings, Montana to Edmonton, Alberta, a major Canadian northern outpost, takes about 11 hours – roughly akin to driving from Durango, Mexico, to Los Angeles. It takes another 15 hours to drive from Edmonton to Yellowknife — the equivalent of travelling from Los Angeles to Portland. Sabina’s Back River project is a further 520 kilometres beyond Yellowknife, to the northeast. As for Sabina, the main mystery on the company’s vast Back River property may be just how many high-grade ounces are buried under the Arctic tundra. It’s a puzzle this summer’s drill program should go some way to solving. A single early result from the 10,000-metre summer exploration program was promising. 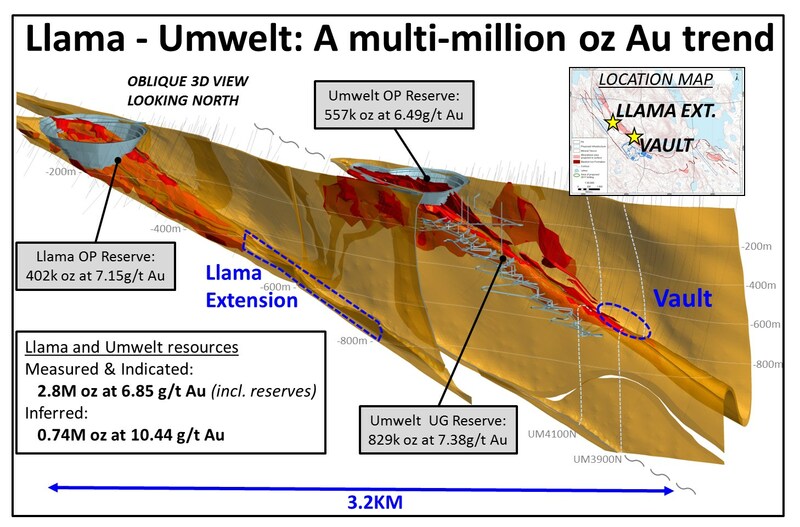 The first drill hole, 17GSE516B – released the morning I flew into Yellowknife en route to the site visit – intercepted 9.48 g/t gold over 38.55 metres in a down-plunge extension of the Llama deposit. Not bad for a 460-metre step-out hole. The focus is on adding high-quality ounces — after all, Back River already hosts 7.2 million ounces Au in all categories. Our plane of analysts landed at the Goose camp on a high-quality air strip made from gravel produced on-site. The camp gets its name from adjacent Goose Lake, which serves as the winter landing strip for 737s that come in laden with fuel. The well-run camp felt more like a mining operation than an exploration camp. VP Ex Campbell spoke about uber-high-grade exploration upside (more on that later), while derisking was the major theme for McLeod: “We can’t afford to make mistakes in this part of the world.” Sabina has spent about $5.5 million on basic engineering since the completion of the Feasibility Study, he said, and is now into detailed engineering. The CEO describes the Back River project as a straightforward mine in a complex environment. From a geotechnical perspective, McLeod says Back River is probably the simplest project he’s been involved with. His assertion was confirmed by a visit to the nearby mill site, the helicopters landing on flat bedrock terrain. One of the benefits of a vast property is the ability to choose exactly where the mill will be. Standing on the flat terrain of scrub and bedrock, with a 360-degree panorama view, it was easy to visualize a mine taking shape. 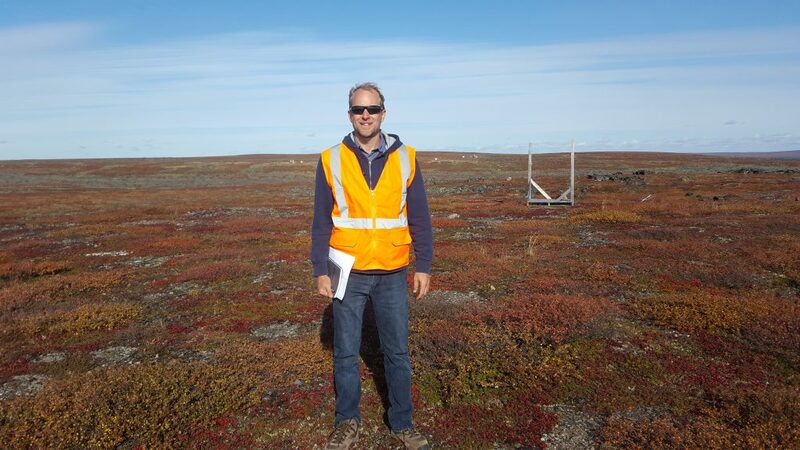 It’s not typical CEO bluster: McLeod has already built a mine in Canada’s North. That was Capstone’s Minto copper mine in the Yukon, built by Sherwood Copper and the first hard-rock mine constructed in the territory in a decade. Sherwood was founded and run by McLeod and later bought by Capstone for $244 million. Minto was built on time and under budget – no small feat in Canada’s North. Sabina CEO Bruce McLeod talks nuts and bolts of a mining operation at Back River. 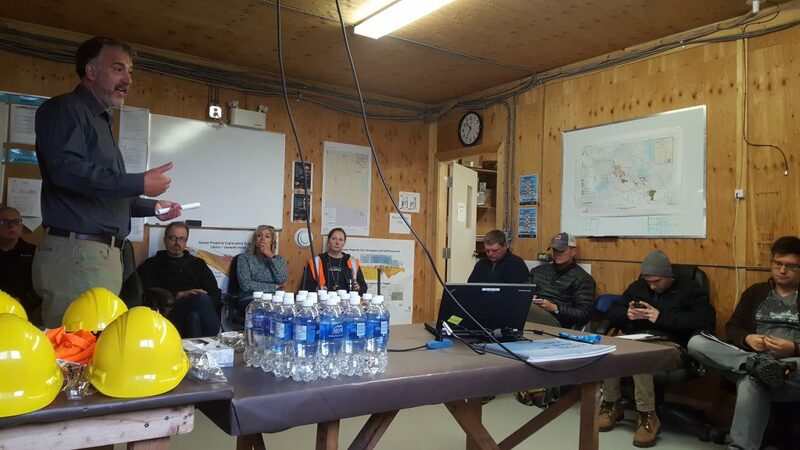 Recent problems experienced by Nunavut neighbour TMAC Resources (TMR-T) at its recently opened Hope Bay gold mine illustrate the importance of “doing it right the first time.” TMAC recently slashed its annual guidance in half – from 100,000 to 120,000 ounces of gold to 50,000 to 60,000 ounces – due to processing issues and recovery problems. Sabina is paying close attention to metallurgy and a potential processing change from whole ore leach to flotation is one of the optimizations Sabina is studying. Some background on Back River: Sabina Silver became Sabina Gold & Silver with its 2009 purchase of the high-grade gold project from Dundee Precious Metals (DPM-T). Prior to that, the flagship was the silver-rich Hackett River VMS deposit 45 kilometres to the west, which Sabina sold to Xstrata (now Glencore) in 2011 for $50 million cash and a significant silver royalty. That transaction put Sabina into the rare category of well-funded junior, where it remains. More on the silver royalty later. Sabina has since added about 5 million ounces, bringing the Back River resource to 7.2 million ounces in all categories. Most of the added ounces were drilled in the first two years, followed by a lull in drilling during the 2011-16 bear market. The most recent drill program has taken the number of metres drilled above 500,000. The scale of the core-cutting facility at Goose is an indication of the size of previous programs. It can comfortably handle 85,000 metres in a single season, so is not stretched at 10,000 metres, McLeod noted. It may seem like a minor detail, but is another box ticked for any major that buys the district-scale project (Goldcorp, for example, is carrying out an aggressive exploration drill program at Coffee). The Back River project is a banded iron formation project that consists of 10 high-grade gold deposits on Sabina’s 53,000-hectare properties. It’s an 80-kilometre district. 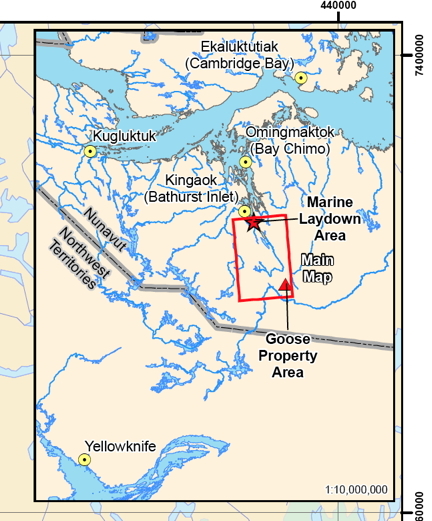 Llama is one of four deposits at the main Goose project area, the focus of the 3KFS that McLeod commissioned. (An earlier FS modelled a 6,000tpd operation producing 350,000 oz over a 10-year mine life.) Three of the four Goose deposits are part of the 3KFS: Goose main pit, Umwelt open pit and underground and the Llama open pit. The Llama underground, including hole 17GSE516B, is not. One of the objectives of Sabina’s drilling is to determine if there are enough high-grade ounces underground to define a “treasure box” that could be mined up front. If the company is successful, that would involve shifting sustaining capex into the front end of the mine plan. But it could significantly improve already strong project economics, especially at the front end of the mine life. An increase of just 500 tonnes per day – to 3,500tpd – could vault Sabina into 300,000 oz/year territory. Angus Campbell, Sabina’s VP Exploration, shed some light on how rich some of the exploration potential is on Sabina’s ground. Being the guy in charge of running exploration programs in a gold-rich 80-kilometre belt must have a kid-in-a-candy-store feel to it. But with McLeod in charge of the candy allocation, Campbell’s targets must be chosen wisely and justified. Despite 500 kilometres of drilling, there remain multiple opportunities for resource expansion, both at existing deposits and at deposits not included in either Feasibility Study. Consider Sabina’s George deposits, about 50 kilometres away from Goose. George hosts about 2.1 million gold ounces included in the 6KFS but NOT in the 3KFS. Drilling there in the 1980s, outside the resource envelope, also hit several wide, shallow intersections of 6 and 7 g/t Au, McLeod said – rich ore by any standard. Sabina geologists were puzzled why these near-surface intercepts were not followed up at the time. The answer, from people directly involved in the drill programs: the predecessor company was looking for higher Lupin-like grades of 9 and 10 g/t material. The nearby Lupin mine produced about 3.35 million ounces of gold between 1982 and 2004 at an average head grade of 9.27 g/t. Under the 6,000tpd plan, George ore was slated to be trucked to the mill at Goose. But McLeod believes George is destined to become a second standalone mine once Goose is put into production. 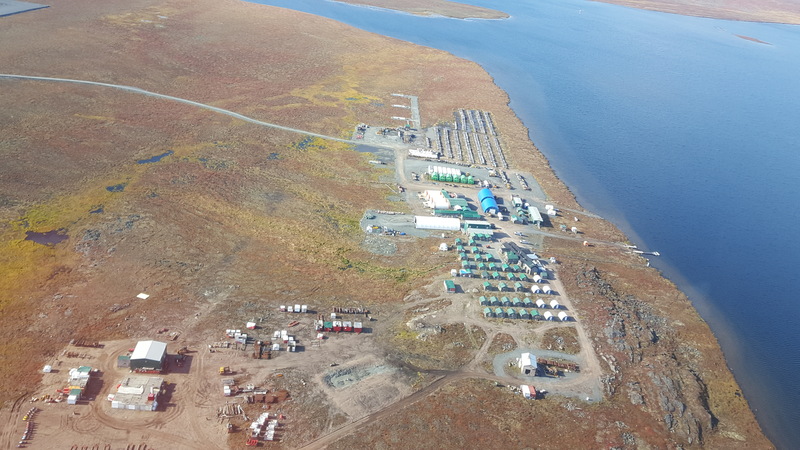 It’s a strategy both Agnico Eagle (Amaruq) and TMAC Resources (Boston) are following with their multi-deposit Nunavut gold districts. The greatest upside potential, however, is probably where Sabina is drilling now – at the Llama extension and the Umwelt Vault zone. Particularly the latter. Vault assays are outstanding from the summer drill program, which included about 4,000 metres of Vault drilling. A spring hole there hinted at the richness, returning 16.86 g/t gold over 13.5 metres, including 27.11 g/t over 7.95 metres. Oblique longitudinal section of the Llama/Umwelt trend target areas. The Vault targeting is follow-up from rich 2011-12 intercepts, including 17 metres of 49.24 g/t Au. For perspective, that grade is roughly equal to GT Gold’s (GTT-V) recent intercept that helped send that Golden Triangle-focused play to a $200-million market cap briefly (Sabina’s market cap is $515 million). Except Sabina’s 2012 hole was 17 metres, compared to 6.95 metres for GTT. I asked VP Ex Angus Campbell why the rich hits weren’t followed up on at the time – he said the focus then was on building open-pit ounces. On the infrastructure and development front, Sabina plans to truck supplies to the mine via a 157-km winter road built every year at a cost of $8 million. The CEO described it as a “fairly simple” road, logistically. Sabina will have about 45 days to truck supplies from the marine laydown area, in southern Bathurst Inlet, to the Goose camp. Sabina is not banking on it, but a Northern road plan that has been decades in the making could also intervene to lower costs for the project. That’s the Grays Bay port and road initiative, a plan for an all-season 230-km road from a deep-water Arctic port that connects to the Yellowknife winter road. With the buy-in of the Kitikmeot Inuit Association, which also strongly supports Back River, this iteration of the plan looks closer to reality than it has for some time. The road would be closer to the George deposit than Goose, but could result in significant savings. Resource Opportunities initiated coverage on Sabina Gold & Silver on May 18, 2015, during the bear market. The catalyst for coverage was McLeod’s hiring. When I met him and Sabina’s VP Communications Nicole Hoeller in a Vancouver coffee shop, McLeod gave me a taste of his tenacity: “My philosophy is like the Italian rule of driving: you rip the rear-view mirror off, put your foot on the gas and it doesn’t really matter what’s behind you but you’re moving forward … You’re not going to let your foot off the gas.” The line implies recklessness, but it’s more about a single-minded focus on advancing projects. McLeod could not have foreseen the dark days of summer 2016, but the philosophy served him well during that period. That’s when the Nunavut Impact Review Board (NIRB) recommended to the federal government the rejection of the Back River project as currently constituted, despite widespread Inuit and community support. The reasons given were concern over caribou and climate change implications. Ottawa flipped the tables, rejecting the NIRB’s conclusions and ordering the regulatory agency to re-examine its findings. That resulted in a positive recommendation. A final ruling from the federal government is expected before year-end. The number of high-quality gold discoveries in recent years has dropped along with the exploration budgets of the majors. Ore grades have steadily fallen and the miners are more reliant than ever on junior exploration companies to fill the supply gap. There are precious few district-scale, high-grade gold projects in safe jurisdictions. Sabina’s Back River fits the bill and has no fatal flaws. I expect Sabina to be acquired by a large gold mining company, at prices well above the current levels. In a rising gold price environment – not a given, a bidding war could well be the outcome. I have described Sabina previously in the newsletter as a kind of triple leverage play, and it still holds true. The shares were at bear market levels of 39 cents when I initiated coverage, and Sabina had 194 million shares outstanding. Importantly, the share count has risen only 30 million since then as the stock has increased sixfold. Exploration – Drill plays have been getting much of the love in recent months. GT Gold Corp and other plays focused on British Columbia’s Golden Triangle plays have been leading the charge, but there have been others. The junior market’s enthusiasm for drill plays and ambivalence towards development plays reminds me of the Benjamin Graham quote: “In the short run, the market is a voting machine but in the long run it is a weighing machine.” Sabina’s recent drill results compare favourably with many drill plays that have added tens of millions of dollars of market cap on favourable assays. In Sabina’s case, the assays are overlain on a very high-grade, FS-stage gold project and potentially have a direct favourable impact on project economics. Votes come and go but the weight remains. Goldcorp – Kaminak Gold ($520 million): 33%, 40% (US$1,279/oz). 3. Silver royalty: Sabina retained a valuable royalty when it sold the prior flagship project, the Hackett River polymetallic deposit, to Xstrata (now Glencore). It’s a 22.5% royalty on the first 190 million ounces of silver produced, and 12.5% on the remainder. Hackett River is one of the world’s largest undeveloped VMS deposits and the main price is zinc. Zinc has soared from below US70 cents/lb in January 2016 to about $1.40 today. The royalty was previously assigned a value of $300 million by analysts, and McLeod contends it would trade at a valuation of $300-$400 million in the portfolio of a larger royalty company such as Wheaton Precious Metals or Royal Gold. The silver royalty gets little to no value in Sabina’s portfolio. Suitors? It’s a long list. Goldcorp has telegraphed its intention to only acquire district-scale projects, and Back River fits the bill. The project is superior on almost every level – grade, size, scalability – to Kaminak’s Coffee project and Goldcorp spent $520 million to purchase that operation. This is pure speculation, but I bet B2Gold CEO Clive Johnson would also love to open a high-grade gold mine in Canada to go with operations in more exciting jurisdictions that include Mali, the Philippines and Burkina Faso. Management is the single most important ingredient in the junior mining sector, and Sabina’s is impressive. When he took over as CEO, McLeod refocused the company, trimming some fat and beefing up insider skin in the game. Under his stewardship, Sabina has smartly increased the quality of the gold ounces while controlling the share structure. I was impressed during the site visit by both VP Ex Angus Campbell and Exploration Manager James Maxwell. Finally, a small detail. Sometimes, they tell a tale. There was no swag on the site visit – company shirts, ball caps, pens, etc – and clearly cost considerations were front and centre for Sabina. I’ve seen lots of swag from plenty of lesser projects in my travels. As a shareholder, seeing that kind of focus on the lesser details reassured me that Sabina will pay close attention on the big details, too – such as a fair takeout price.